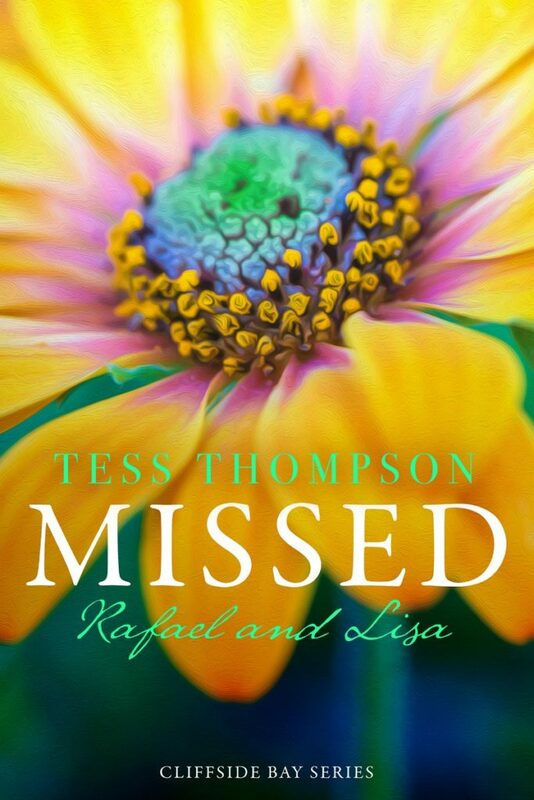 DO NOT MISS Missed: Rafael & Lisa… it’s available everywhere! Return to the beloved beach town of Cliffside Bay, where USA Today bestseller Tess Thompson spins another emotional, intriguing tale about overcoming adversity and finding strength in love in this standalone story about Lisa and Rafael. After years of struggling as a starving actor, Lisa Perry’s dreams are finally coming true. Splitting her time between Los Angeles and Cliffside Bay, the young beauty has a successful television miniseries, her first movie role, and quality time with her best friends Maggie and Pepper. Everything is coming up roses until a single tragic moment changes Lisa forever. Haunted by unshakable memories and near-crippling anxiety, Lisa must face a publicity tour full of crowds and interviews in order to move her budding career forward. And with the help of Rafael Soto, the head of security for Brody and Kara Mullen, she finally begins to relax. Though the pair are as different as night and day, something about her temporary bodyguard soothes the young actress, and soon their relationship turns from professional to passionate. But what neither anticipates is that despite the obvious threats to a beautiful ingenue, it’s actually her protector who stands in harm’s way. Will Lisa and Rafael be able to face the danger awaiting him together, or are they destined to accept yet another tragedy they can’t stop? 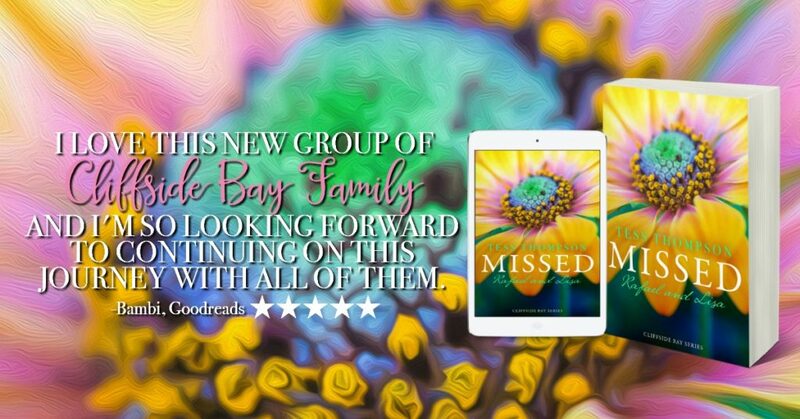 USA Today bestselling author Tess Thompson welcomes you back to Cliffside Bay to explore the rich, heartwarming stories of the characters who brightened the original five novels in the series. 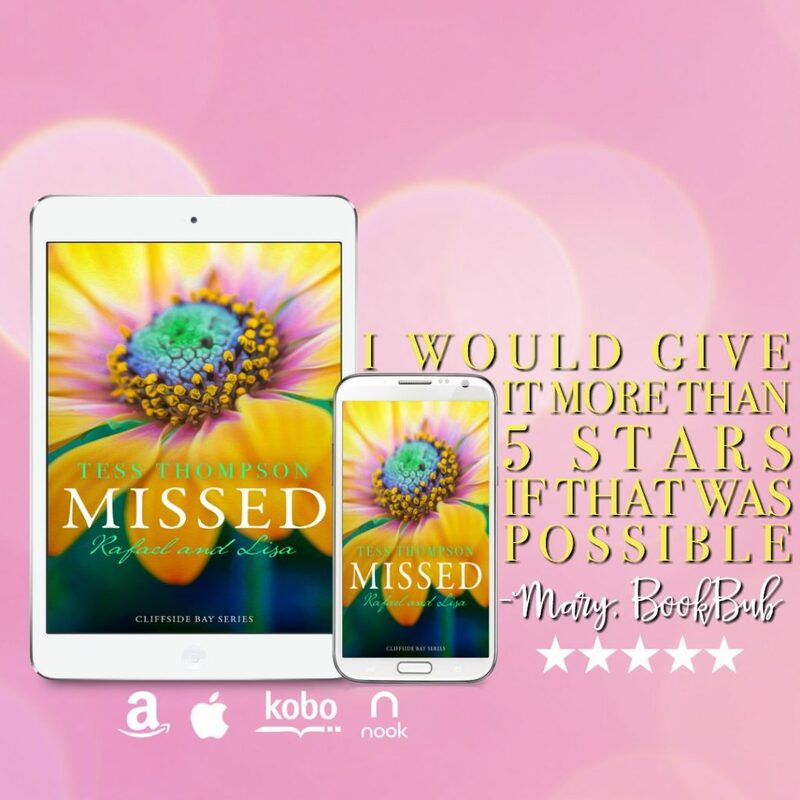 Each book in the Cliffside Bay Series is intended to be read and enjoyed as a sweet standalone, but for maximum enjoyment read this binge-worthy series in order.